The health service fee covers most UHS services for currently enrolled students. However, students are responsible for paying costs not covered by the health service fee, so students should have health insurance. For details, see Free or Fees for Students and Why Students Should Have Health Insurance. Students who need health insurance may contact the UHS Managed Care/Student Insurance Office for options. Carry your own health insurance card (or a copy of both sides) with name, address and phone of insurance company, name and date of birth of the primary subscriber, and contract numbers. Ask: Is this (service or item) a covered benefit under your health insurance plan? Ask: If so, would this (service or item) be covered at UHS (Tax ID 383422836), or is UHS out-of-network? If you have difficulty confirming coverage with your insurance company, call the UHS Business Office at 734-764-7380 for assistance. You may be responsible to pay for services not covered or the balance after insurance payment, e.g. deductibles, co-payments or co-insurance. Ask: What costs will insurance pay, and what costs would you be responsible for paying, e.g. a deductible, copays? Contact the medical facility where you plan to get services to inquire about payment and billing. You may need to pay at the time of service. UHS will submit a claim to your insurance company, if appropriate. You would be responsible for paying any costs that insurance does not pay. Ask whether and how you can get reimbursed for costs. GradCare members whose primary care site is UHS should visit UHS for all their health care needs. (Members who are currently enrolled students on the Ann Arbor campus have no co-payments for UHS clinic visits.) UHS is a Network 1 provider. Premier Care/BCN members whose primary care site is UHS should visit UHS for all their health care needs. There are co-payments for visits. UHS is a Network 1 provider. Blue Cross Blue Shield PPO: For this plan, UHS is included in the Michigan Medicine network. There are co-payments for visits. Blue Cross Blue Shield (BCBS): Some services at UHS are covered by BCBS. UHS will bill BCBS for covered services. U-M Comprehensive Major Medical: This plan is a Michigan Blue Cross Blue Shield plan. Some services at UHS are covered by BCBS. UHS will bill BCBS for covered services. Please note that the UHS Pharmacy does not participate, and routine eye care services are not covered at UHS. In order for UHS to bill for insurance, your primary care provider (PCP) must be at UHS. You may change your PCP by calling Blue Cross Complete Customer Service at 800-228-8554. If your primary care provider is not at UHS, you may be able to obtain a referral for services not normally provided at your primary care site. To request a referral, contact your PCP. Referrals must be obtained before services are received. Medicare: Most services at UHS are billable to Medicare. UHS will attempt to bill other insurances including Blue Cross Complete Healthy Michigan Medicaid once as a courtesy to our patients, however UHS cannot bill other Medicaid plans. It is ultimately the decision of your insurance company whether they will pay. If we do not receive payment from your insurance company, you will be billed. You will be responsible for payment. For prescription drug plans that UHS accepts, see Pharmacy. UHS Prepaid Plan provides access to basic health care at UHS, similar to coverage provided to currently enrolled U-M students (Ann Arbor campus) for a specific fee. It is not an insurance plan. The Prepaid Plan is available to affiliated individuals or special groups. Services must be provided at UHS. Alumni: As a service to its members, the U-M Alumni Association offers several types of insurance coverage. For eligibility to use UHS, fees, payment options, insurance billing and the UHS Prepaid Plan, call the UHS Business Office at 734-764-7380.  For insurance benefits through Domestic and International Student Health Insurance Plans (Aetna), call the UHS Managed Care/Student Insurance Office at 734-764-5182 or toll-free 866-368-0002 or email UHS-mancare-stuins@med.umich.edu . For information about GradCare and Premier Care, see U-M Benefits Office or call 734-615-2000.